HA NOI (VNS)— Real estate will attract lucrative foreign direct investments in 2015 with the market recovering and Viet Nam set to join the Trans-Pacific Partnership agreement and other free trade pacts. The Ministry of Planning and Investment's Foreign Investment Agency (FIA) announced this week that as of March 20, there were 475 foreign direct investment (FDI) projects in the real estate sector with a combined capital of US$48.4 billion. Singapore took the lead in FDI in Viet Nam property with 75 projects and a $10-billion capital, followed by South Korea with about 82 projects worth nearly $7 billion, and British Virgin Islands with 66 projects worth $6.1 billion. Other major investors included Malaysia, Canada, Hong Kong and the United States. 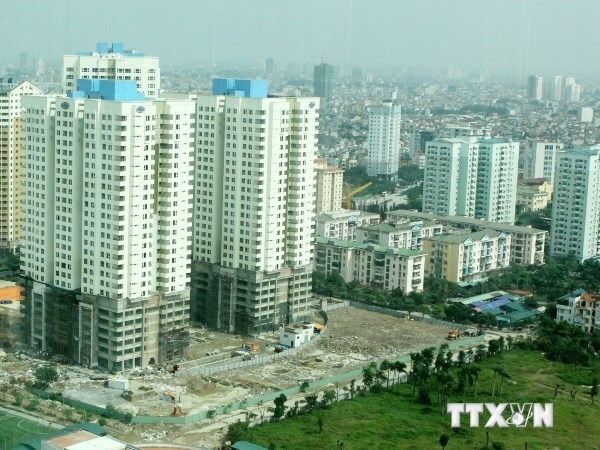 In the real estate sector, HCM City received the maximum FDI with more than 190 projects and a $13.4-billion capital, followed by Ha Noi with 92 projects valued at $8 billion and Ba Ria-Vung Tau with 10 projects worth $6.1 billion. The next were Binh Duong, Quang Nam, Dong Nai and Hai Phong provinces. According to the FIA, 66.5 per cent of all FDI projects in the property sector were wholly foreign investments, 30 per cent were joint ventures, and the remainder were joint stock companies and business co-operation contracts.